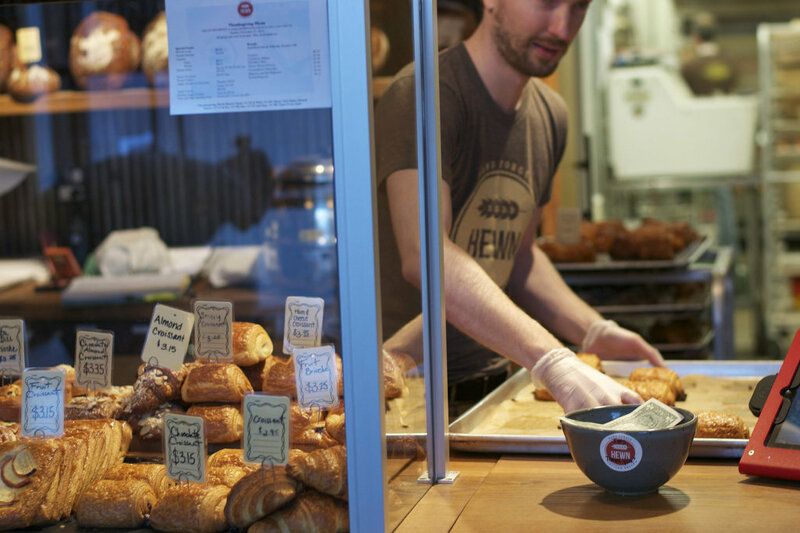 Step inside Hewn Bakery and you will immediately be taken by the sweet smell of warm croissants and crusty bread hot out of the oven. The alluring smell of butter and flour is a tantalizing preview of what’s to come. I relish in the idea of bringing a loaf home and letting its unbeatable aroma fill my car and kitchen. Bread is the perfect compliment to any meal and you don’t even have to feel bad about eating Hewn’s because it’s naturally fermented and free of any preservatives. Although their bread selection differs daily, you are guaranteed to find a traditional baguette, a country loaf and a wheat variety. Hewn also has some more innovative varieties such as polenta, pumpkin seed and rosemary or Nutella brioche. All of their bread has that fresh, chewy quality that’s impossible to find in a grocery store. It would also be a shame to miss their delectable pastries artfully arranged behind the glass such as the kougnin amanns, almond croissants and blueberry scones. Finally, the coffee is solid as well, and they’ve even made an excuse to venture over to Dempster around lunch time for their soups and sandwiches. 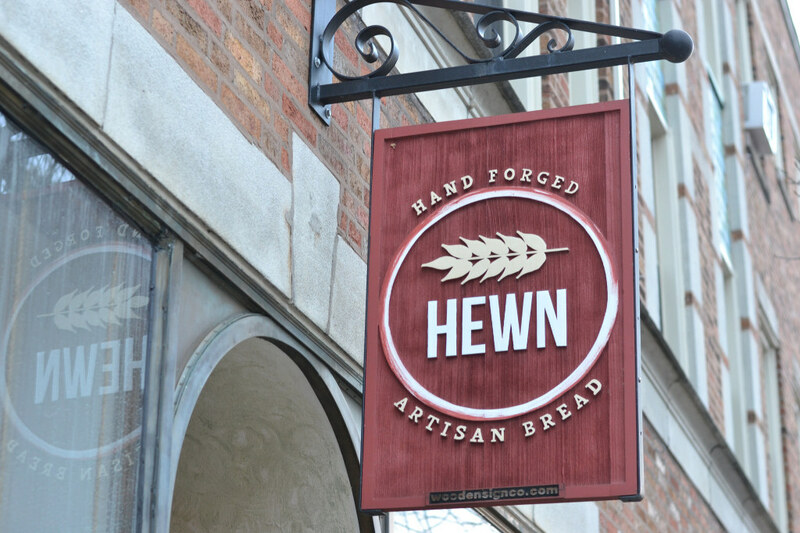 It’s no surprise that Hewn supplies the bread for other Evanston favorites such as Union, Boltwood, Found Kitchen and The Peckish Pig– with bakers coming in at 3am, daily, it’s clear they take bread-making seriously. 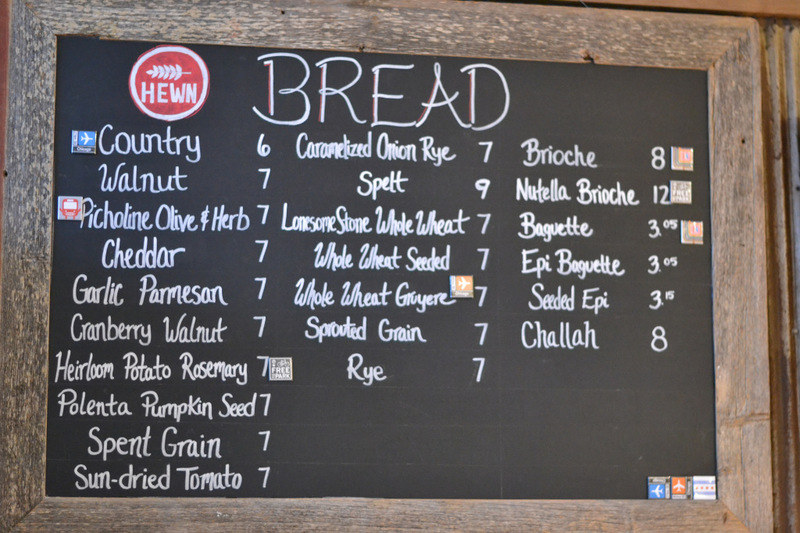 Although Hewn is a little off the beaten path, trust me when I say its worth the walk. 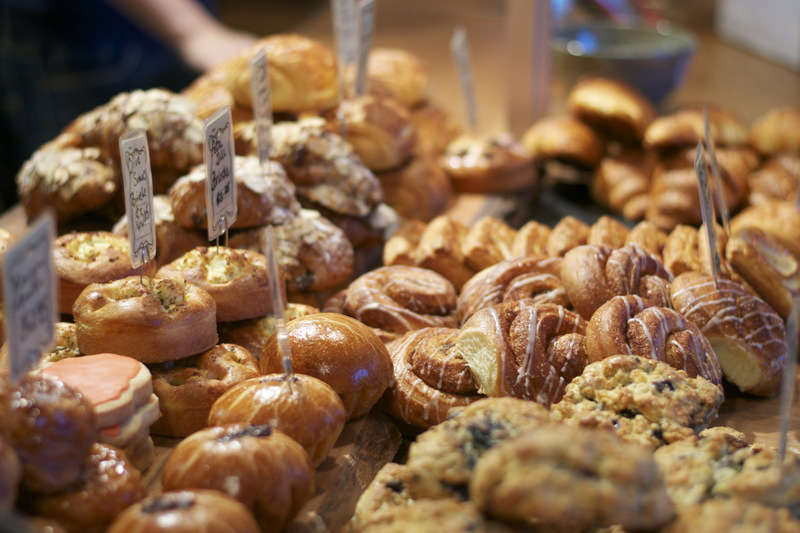 And if you’re feeling ambitious enough to wake up early and make it over to the bakery before the crowds hit, you’ll be rewarded with still-warm pastries. Need ideas for how to use your bread? Check these out. And if you still have leftovers, there’s always French toast.